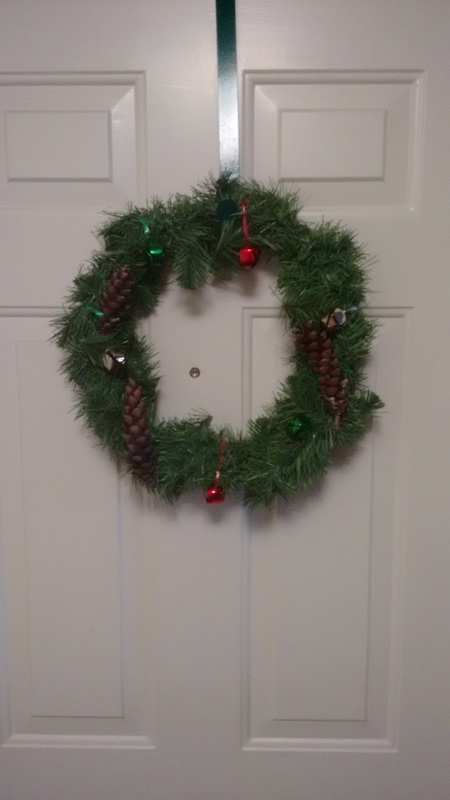 With the encouragement and advice of Liene from Femme au foyer I decided to fancify my sad looking wreath. Not being particularly crafty, I didn’t expect much in the way of success. I bought some little Christmas colored bells from the hobby store for a few dollar I locally sourced some pine cones (stole them from a neighbors yard). 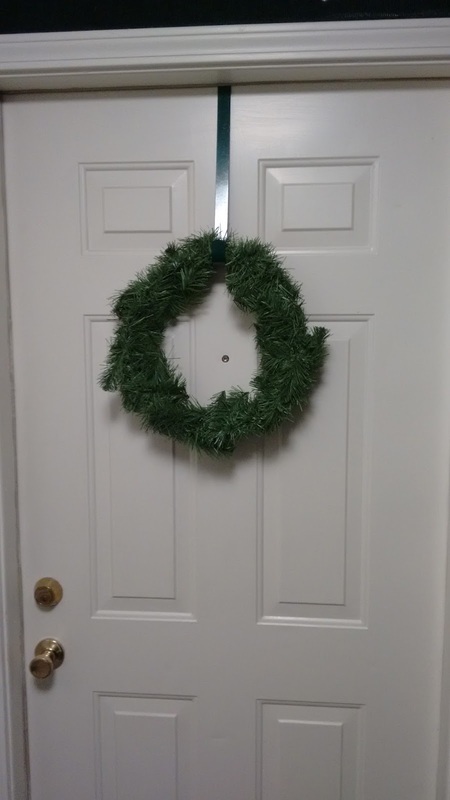 s. I attached them and the bells to the wreath using some colored ribbon I had bought awhile ago at the dollar store. It appears one dollars worth of ribbon will last me the rest of my life. You may note that if you source your pine cones from nature they may come with little friends. I had to squish a few bugs. And there are the results. Click for a larger view.